So, I decided to take matters into my own hands. British Racing Green is the ultimate expression of classic sports car colours to me, and one that is hugely underrated; you just don’t see it anymore. Some random photos I took from the Rolex 24. I had a blast of a time at the Rolex 24hr race at Daytona this past January. Met tons of great people, including Nick from Bee Line Coffee Co. who hooked me up with an Enduro roast made specifically for Turner’s 24hr effort (thanks again Nick!). Heading down to Daytona right now, anyone going to be at the Rolex 24? Would love to meet any fellow jalops! Guess who's going to the 2018 Rolex 24hrs of Daytona? I am! Well, more specifically: my girlfriend and I decided we should go on a much needed vacation for our upcoming 8th year anniversary on the last week of January. Thoughts bounced between staying domestic for our trip, but a desire to get away from the coldness of winter in Toronto pushed us to look south. First AutoX ever at PITL, what a blast! Had tons of fun at yesterday’s event, put on by PITL (Push It To The Limit Autocross series), with lots of 86's out there (and even an AE86). Blew a gate on my first and last run, but did not hit any cones the whole day! A Quick Clip of my BRZ's new catback. Still trying to find the time to pick up my Shure DSLR microphone from my friend, so in the meantime, and iPhone video of my Invidia R400. New Exhaust on the BRZ! With some extra hands courtesy of some friends, I was able to install my Invidia R400 very easily on Friday. Had a friend of mine reach out to me as one of his friends is trying to sell his 1985 AW11 MR2. He said it was mint, and I figured “mint” meant as mint as you’d expect your average AW11 would be for $5500 canadian. 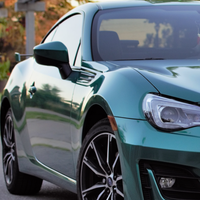 Say hello to my 2017 Subaru BRZ! Name change for exciting things coming! Taking delivery of my new car on April 8th! Take a guess at what I’ve bought. Went down to CIAS last night, going on a Sunday night really is the next best thing if you can’t get press passes. Anyone remember the Toyota SFR from a few years ago? Looked like an awesome little car. Cheap, tiny, light, and most importantly, RWD. Can anyone explain why the MX5 is so expensive in Canada? Had some fun on a “realistic trackday” online server in Assetto Corsa, with me new (to me) Oculus Rift DK2. Crazy how realistic the footage looks in terms of head movement, looks like watching a real lap POV. In the Tuned FD RX7 lap above, everything was going great until I spun at the last section :(. Listing attached here, with VWVortex post here. What say you, opponauts? Drove a 335i for the first time tonight... First impressions, verbatim. Authors Note: I’m riffing thoughts about my brief drive below pretty much verbatim, so if it doesn’t make grammatical sense, sorry! It’s just a lot to take in when you’ve been daily’ing a 2004 Camry for over 4 years, and very rarely get the opportunity to drive something more “enthusiast” centred. Dillema time: R32 GTR, another sporting car for the same money, or nothing at all? Grabbed the DSLR, and finally took some decent car pictures. Enjoy the photodump, and the smattering of bonus WRX (my girlfriend’s) to keep you from falling asleep from looking at my car for too long. Me gusta. Genuine SSR Type-C's, 18x7.5, +42 offset; all wrapped with some sticky 235/40 Yokohama Advan AD08's. These wheels, along with the Eibach Pro-Kit/KYB GR2 spring-strut combo that are on this thing means she shall be ready and willing for a track day or two.